The National Gallery of Victoria was brimming with Melbourne’s business leaders on Thursday 3 March as alumni, donors and friends of the Faculty of Business and Economics arrived to celebrate their connection to the University of Melbourne. As guests explored the Andy Warhol – Ai Weiwei exhibition, we got to know the alumni of distinction award winners, nominated by their fellow alumni, a little better. Peter Scanlon’s esteemed career spans decades and continents with more than 30 years’ experience working in private and public companies. 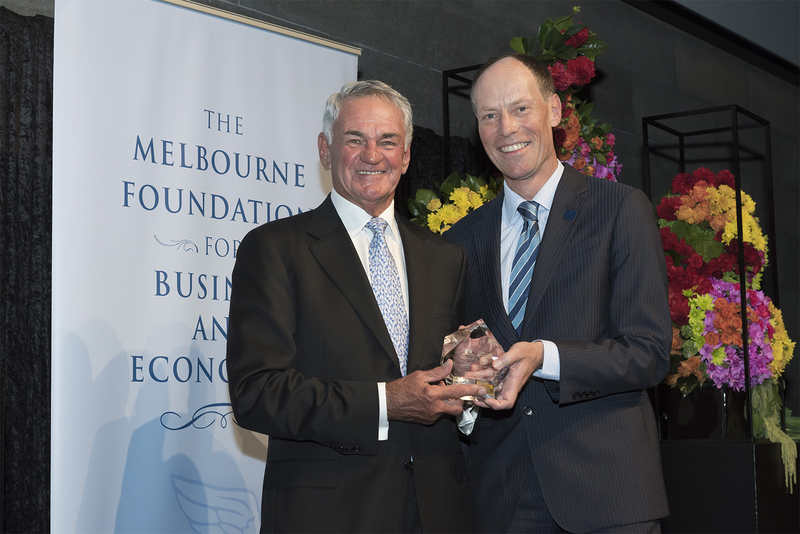 In June 2015 Mr Scanlon was made an Officer of the Order of Australia for distinguished service to the community through philanthropic contributions to, and senior roles in, organisations and programs that foster social cohesion and the public benefits of diversity. Mr Scanlon was still humbled by the Alumni of Distinction Outstanding Achievement Award and said that his University education remains the cornerstone of his business success. Chairman of the Taverners Group and Scanlon Foundation, Mr Scanlon shared the epiphany moment that made him realise his future was in his own hands. I left a tutorial one day and went and sat outside the room alone. I realised that my parents had given me this wonderful opportunity and that the power to determine my future was firmly in my hands. Responsibility was inherent in this opportunity; something Mr Scanlon clearly takes very seriously. Kevin Wong, now retired and formerly Managing Director of JP Morgan and Senior Country Officer of JP Morgan Chase for Malaysia, received the Alumni of Distinction Contribution to Faculty or University award. 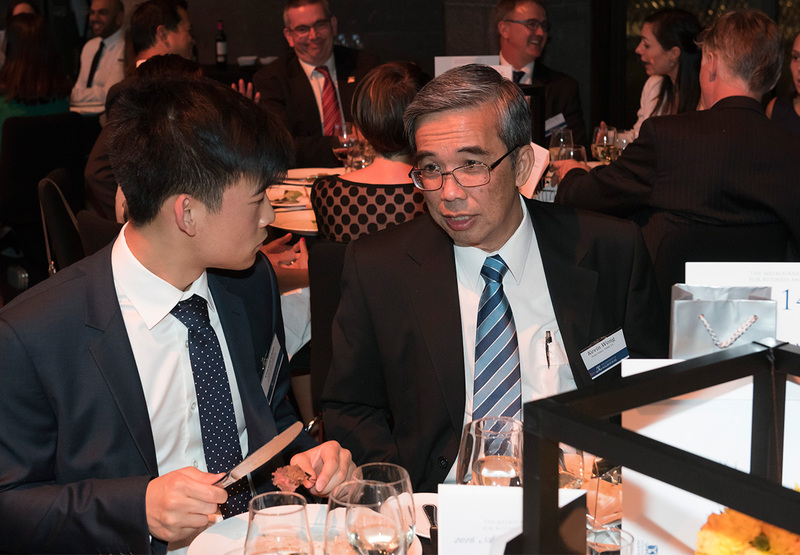 Mr Wong has served on the Business and Economics Board and is a supporter of the Malaysian Alumni Association. One of his greatest contributions to the University is his ongoing work as a mentor to Business and Economics students. Kevin was one of the first mentors to volunteer for the FBE mentor program and sees this as his way of giving back in a meaningful way. Mr Wong’s advice to future students is to get involved and engage in local alumni events. 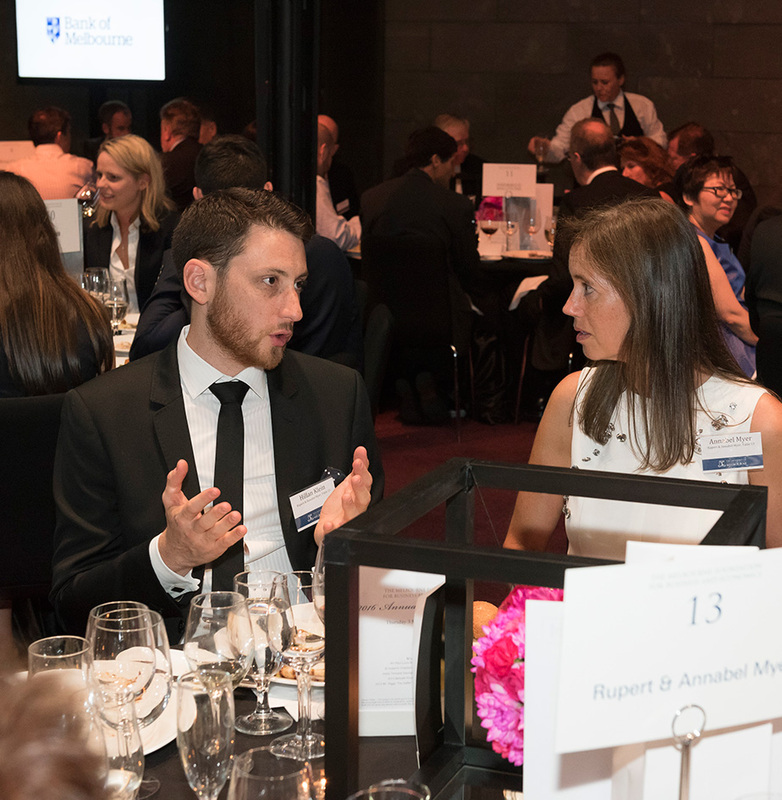 “Young alumni starting out in their career have access to this great business network just by graduating from the University of Melbourne. But, you can’t just turn up, you have to really engage and make the most of access to senior business professionals whose doors may otherwise be closed to you,” says Mr Wong. Hillan Klein made the trip home from New York to attend the event after his mother called him with the news that he was receiving the Alumni of Distinction Rising Star Award. Hillan pioneered mobile banking at NAB delivering the first iPad app within Australian financial services, followed shortly thereafter with NAB’s official iPhone app, which combined now account for over 25 per cent of NAB internet banking transactions and have been downloaded by 650,000 Australians. Hillan founded start-up Budge, a pro-social mobile app that uses competitive nature to build awareness and fundraise for meaningful causes in 2011 and now holds the position of Chief Operating Officer at Namecheap, the fastest growing Domain Registrar in the world. Hillan leads a team of over 600 people supporting Namecheap’s 2.5 million customers and managing over 5.5 million domains globally. Despite a myriad of notable achievements so early in his career, Hillan was surprised and grateful to be acknowledged by his fellow alumni. Jennifer Nason, Global Chairman, Media and Telecom, Investment Banking at JP Morgan is also based in New York. Ms Nason is now the global head of the TMT Investment Banking practice, responsible for clients across all three industry subsectors. She was unable to make it back to Melbourne for the event but sent a short video message to accept the 2016 Alumni of Distinction Leadership Award. She says her time at the University of Melbourne opened up a sea of possibilities that she never imagined were possible before. “I have three older brothers, all of whom left school before they graduated,” says Ms Nason. “They all subsequently went back and finished high school at night time and then went on to tertiary education but I had the easier path. I was always very conscious of making the most of the opportunities that were afforded to me. It was really in those lecture halls that the world opened up to me, the possibilities of working globally, of learning about the global economy, political systems around the world, and I’ve pursued each and every one of my ambitions and dreams. The Alumni of Distinction Awards are an important way to recognise the Business and Economics alumni who have achieved excellence in their chosen field, and, through this, have made an outstanding contribution to the Faculty, University and wider community. Find out more about the program, award categories and how to nominate.